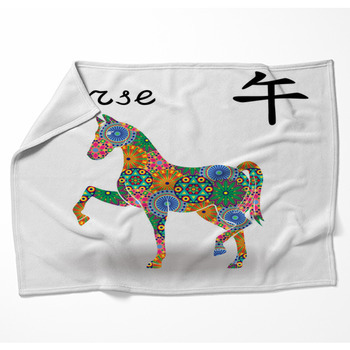 Horses are considered animals that are compassionate, intelligent, and magnificent and people of all ages are in awe of this animal which is why people love their horse themed blankets. 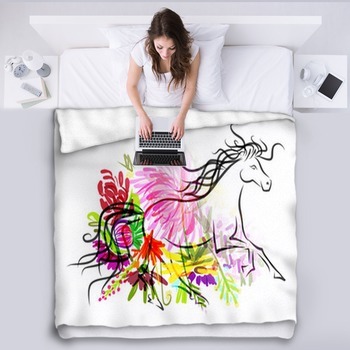 Horses are available in various colors, various types and English or Western style, but most people especially animal lovers would agree that having horses decorate your home makes it a happier and more beautiful place to be. 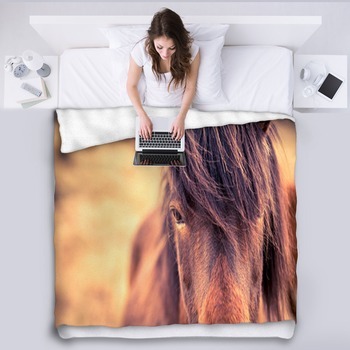 Although it may not be practical and possible to get this magnificent creature in to your house, it is possible to have photo real horses on your blanket! 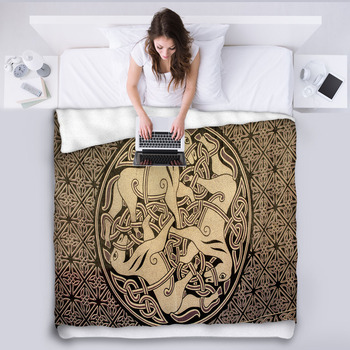 You can find horse themed blankets with various kinds with horses portraying a different colors or types of horse to beautify your home further. 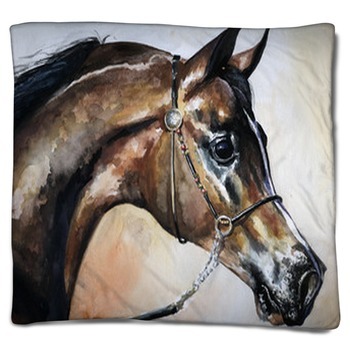 You'll find beautiful and graceful pictures of paint, palomino, thoroughbred and quarter horses - whatever you desire. 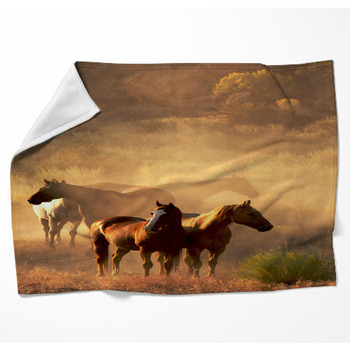 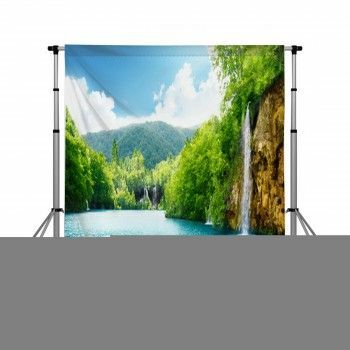 Horses galloping across beaches, through trees and on horse ranches are very popular, but it is also possible to find a blanket with a sunset or sunrise background. 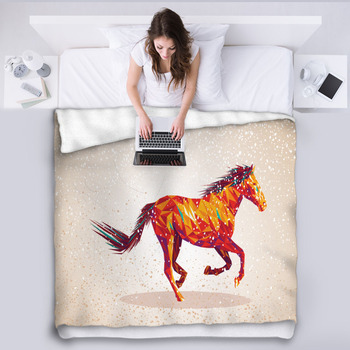 If you feel that you would like a horse with a different color or a different background, it is possible to create your own custom horse blanket with your choice of colors, or from a special photo of your horse. 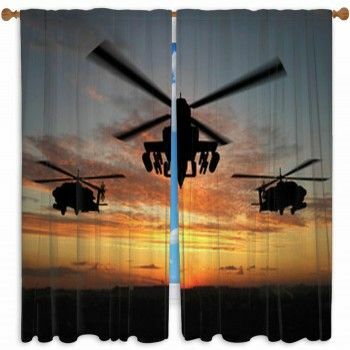 These custom blankets are ideal for people who have a theme or color scheme in their house and want their new blanket to match the rest of their house. 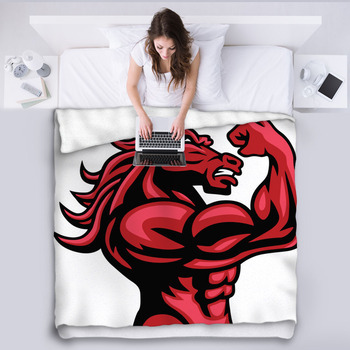 Options like adding text on to the blanket makes a great personalized gift for friends, family and children of all ages. 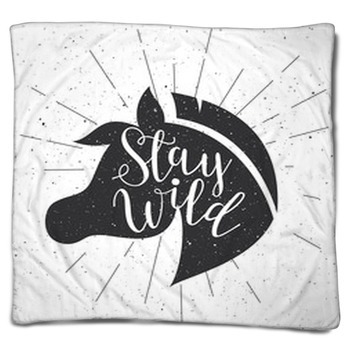 These decorative horse blankets are great for children who love animals or want a horse but cannot get one, as well as those who lost a special horse in the past. 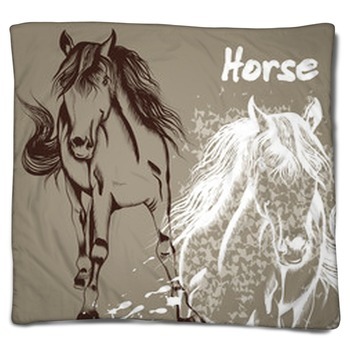 Simply put, horse blankets, whether customized or personalized, serve more than the single purpose of beautifying the house; they can also be used to instill the love of nature and these beautiful animals in your children, friends or family. 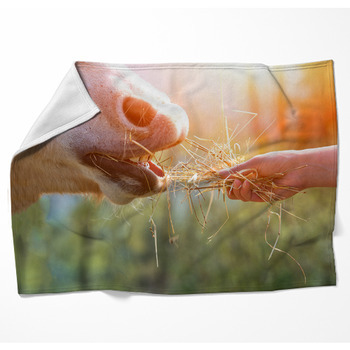 If you or any of your family members like horses then giving the gift of a photo real horse blanket will add to their collection and show them how much you care.